One question I hear fairly often is whether it’s better to buy (or build) a brand-new home or a previously owned one. Lucky for me, there is no right or wrong answer. The correct answer depends on the person asking the question. What are you hoping to achieve by moving? What qualities do you want your new home to have? What features are most important to you? 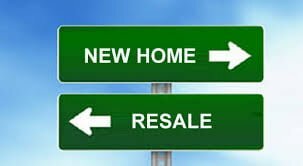 Whether you settle on a new build or a resale home really depends on personal preferences but there are a few questions that you can ask yourself to help determine which one is the best fit for you. How do you feel about home repairs and maintenance jobs? In a newly built home you’re less likely to see the need for repairs and updates. In most cases it’ll be a good few years before you need to dig out your DIY kit. In a previously owned home, most major repairs usually get taken care of while getting the property ready to put on the market but there could still be a small list (or maybe a long one!) of odd jobs that require some attention. The older the building, the more likely there are to be ongoing repairs and maintenance. Will that be a problem for you? Is energy efficiency high on your list of priorities? It goes without saying that newer homes tend to be more energy efficient because of the technology included in the building. Many new homes come fully outfitted with green features incorporated in the design and some even come with energy efficient appliances. Older homes may have fallen behind the green curve if retrofitting proved to be too costly or difficult for previous owners. Are you prepared to take on some of that updating yourself? Or maybe you’ll be happy to live with things as they are? Many buyers prefer the features found in older buildings (think wrought iron floor grates, wavy glass window panes or drafty, ill-fitting doors) to new homes that can be lacking in charm and character. Which is more important to you? How important is it to you that you get a deal? 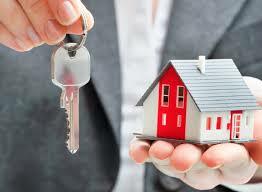 Sometimes cost is the most important factor in the home buying process. We all have a budget, we all have other expenses that we have to cover outside of our mortgage payments, and you need to know that you can comfortably afford to juggle everything. 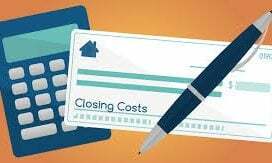 It can often be harder to get any kind of price reduction on a brand-new house as there are costs that simply have to be met. A builder can’t agree to any kind of discount if it means he will be losing money. You may be able to negotiate a better deal on a previously owned home and see better value as selling prices are a bit more subjective and the market dictates selling prices. Whether you end up buying a newly built home or a previously owned one, there are some things you should do in order to make sure you’re happy with your purchase: Do your due diligence so that you’re sure about the neighbourhood, the property and any compromises you may have to make (No one ever gets every item on their wish list! ); Get comfortable with your finances so that you truly understand how much you can afford and what kind of house you can get for that amount of money (Will the mortgage on your dream home be manageable or should you be looking at something more modest? ); Get a home inspection so that you are aware of all major issues with the property before you agree to take ownership (There’s nothing worse than discovering the need for an expensive repair within weeks of moving in). Knowledge really is half the battle, more than half when it comes to buying a home. 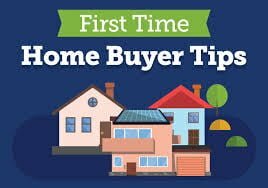 The more you know, the better prepared you’ll be to move forward and the more likely you are to be happy in your new home. So ask questions, do your homework and make some big decisions. And call me if you need any help finding that new property! !